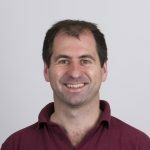 Led by Dr. Andrew Wallace, Lameness is the most common presenting complaint in equine veterinary practice. 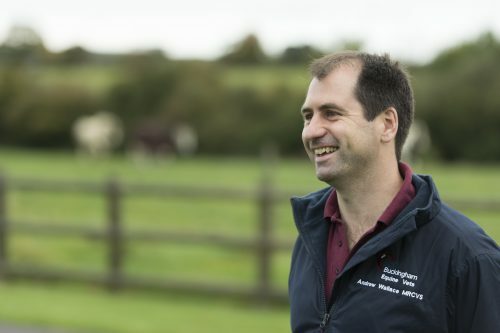 For this reason we have a team committed to diagnosing and treating the various causes of lameness, from sever to extremely subtle presenting types. 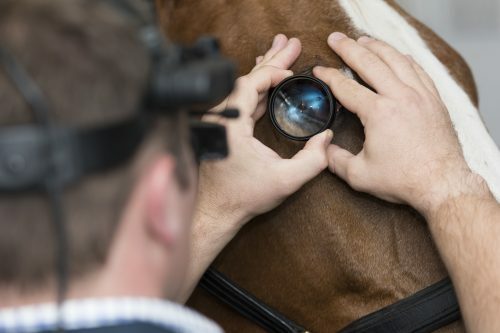 We have invested in sophisticated equipment such as digital x-ray, digital ultrasound, gait analysis and shockwave therapy; as well as providing modern clinic facilities so that a high standard of lameness investigation can be performed. 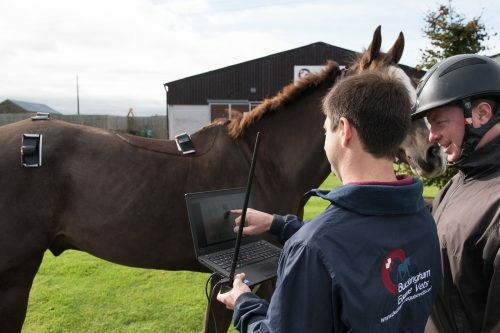 In order to further advance our diagnostic abilities in lameness detection we use one of the most advanced sensor based gait analysis systems currently available. 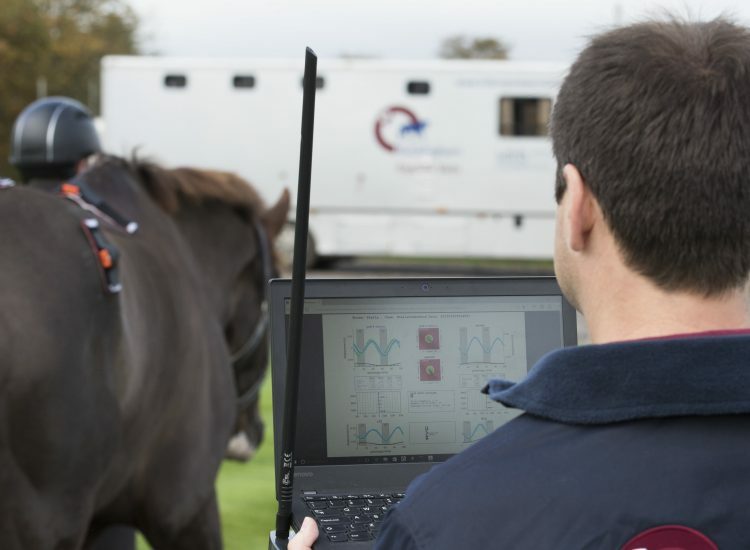 The system, which has been developed by research scientists at our clinical partners, the Royal Veterinary College, uses inertial sensors to capture movement deficits with the horse in motion. Through detailed computer analysis this indicates the limb or limbs in abnormal movement, even those difficult to appreciate by the naked eye. 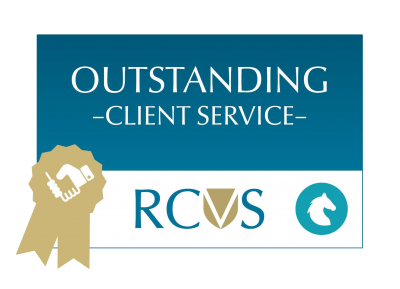 When conducted in association with subtle low grade lameness and poor performance issues the system has shown to be invaluable. Its ability to highlight abnormalities in movement has facilitated further investigations to locate orthopaedic problems. 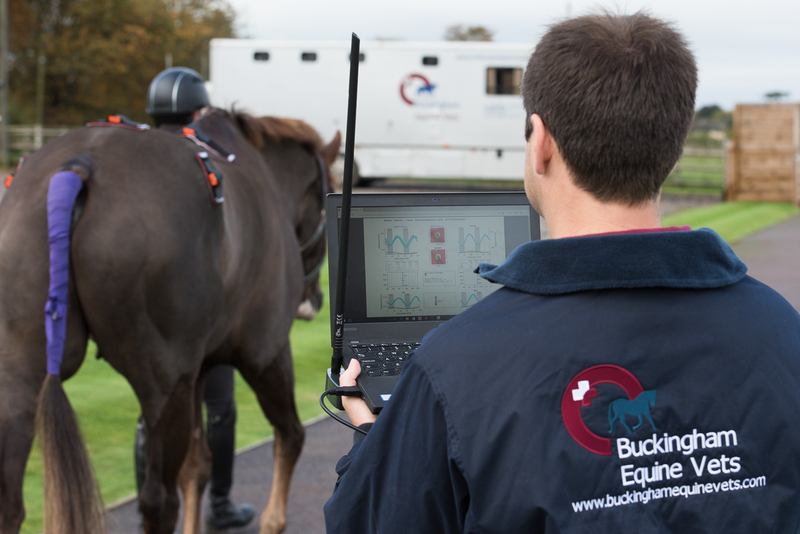 The analysis involves placing, using sticky tape, five sensors on the horses poll, withers and hips and linking them to a mobile laptop. The horse is then trotted in-hand in a straight line or on a lunge while data is collected wirelessly. 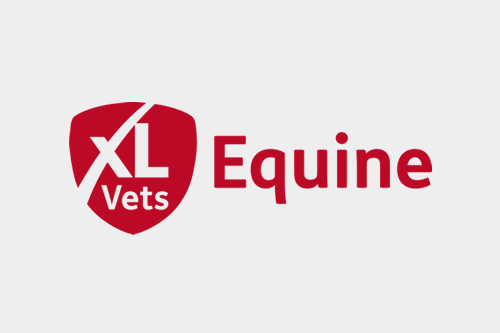 The process is pain free to the horse, relatively simple to perform and usually lasts only 10-15 minutes, after which lameness location and advice on further diagnostic tests can be given by the treating vet. 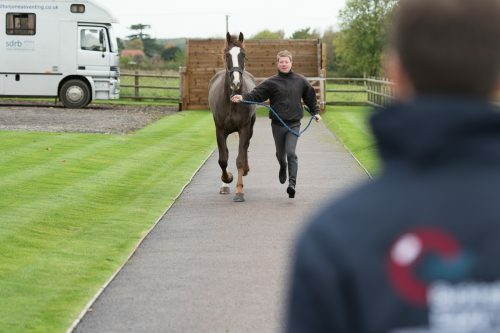 If you have a reason to be concerned about your horse’s movement or struggling with poor performance and feel the new gait analysis system may be beneficial to you, please call the clinic to book an appointment or to discuss the process further with one of our vets.  The practice provides two x-ray modalities to aid orthopaedic investigations, namely computed radiography (CR) and digital radiography (DR). These x-ray units are key diagnostic tools in both lameness sand poor performance inestigations. The DR unit allows radiographic images to be obtained almost instantly and can be used both at the clinic and on yards. 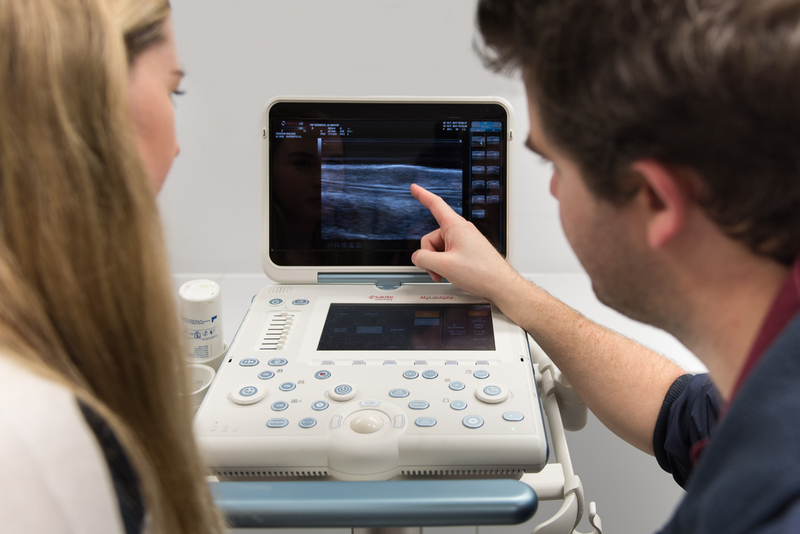 The Practice hosts an array of modern digital ultrasound equipment that aid orthopaedic investigations. The clinic based MyLabAlpha and the mobile MyLabOne machines allow use in all situations ultrasonography might be required. The Practice possesses one of the most advanced shockwave machines available in the equine market. 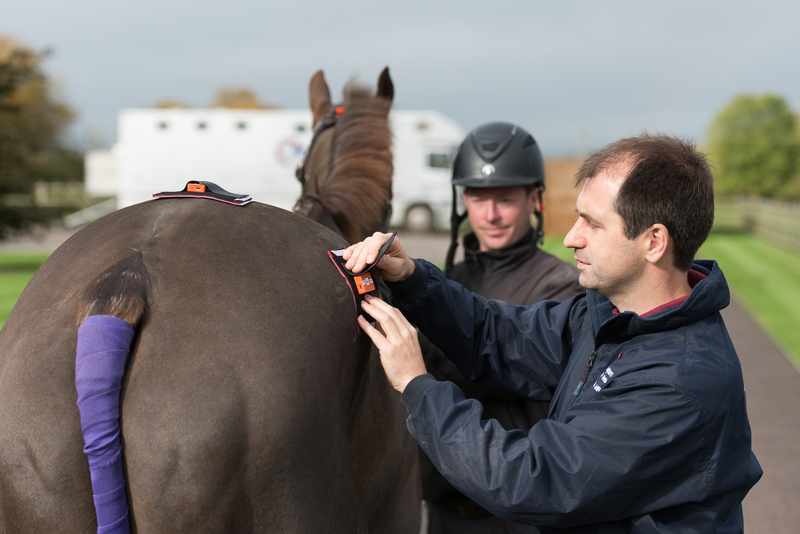 The mobile Neovet Shockwave Therapy Device allows treatments to be performed both at the clinic and on yards. Shockwave therapy is used to promote healing of predominately soft tissue structure. Its most common application is with injury to suspensory ligaments and soft tissue conditions of the back. Acupuncture involves the insertion of very narrow needles into the body with the purpose of modifying disease and providing pain relief. The needles stimulate nerves in skin and muscle and increase the body’s release of natural painkillers – endorphins and serotonin. These chemicals act in the pain pathways of both the brain and spinal cord which can result in exceptional pain relief. The procedure can be used for muscle pain, back pain and arthritis. 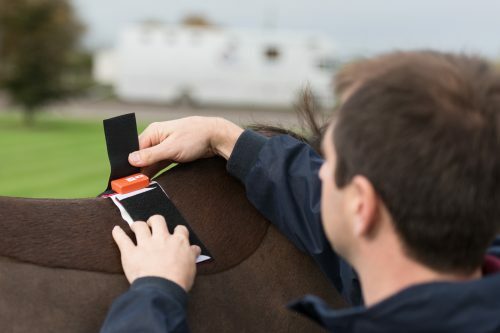 It can also be used in the management of the performance horse to help relieve muscle spasms and keep equine athletes at the top of their game. Acupuncture in animals must be performed by a veterinary surgeon.  Veterinary surgeon Juliet Blayney has many years of experience in performing acupuncture on both animals and people and has provide much assistance in treating and managing orthopaedic pain.